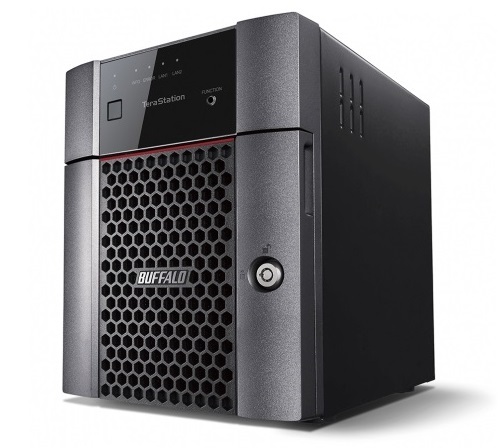 The TeraStation 3410DN is a high-performance, cost-effective 4-bay Network Attached Storage (NAS) solution, ideal for small businesses and demanding small office and home office (SOHO) users. Buffalo's TeraStation 3410DN is a four-drive desktop business class value storage solution, NAS-grade hard drives included. This device features advanced components and solutions at an entry level price - ideal for small offices and professional users requiring cost-effective network storage. Users can easily share and safeguard data with reliability and RAID data protection, while the powerful dual-core Annapurna processor provides high performance operation during file transfers and everyday NAS functions.